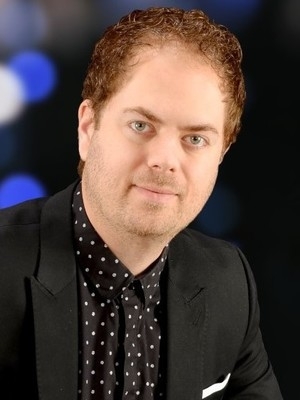 Scott MacIntyre is an acclaimed speaker, singer-songwriter, scholar, and author. 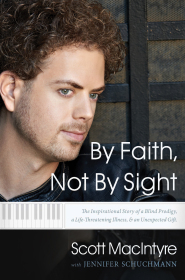 Since his introduction into the public eye as the first blind finalist on American Idol, he has inspired audiences throughout North America and beyond with his dynamic speeches on overcoming adversity, achieving goals, and the importance of education. The event was PRICELESS. Everyone took much more out of it than they expected because of Scott. We needed to add the heart back to the event, bring the passion out in our people and partners. Scott's optimism despite all of life's difficulties was very motivational. There hasn't been a day that has gone by that I have not listened to Scott's music or shared the gift he brought us with someone. It has raised the bar for next year's event, and we have had record breaking donations pouring in. 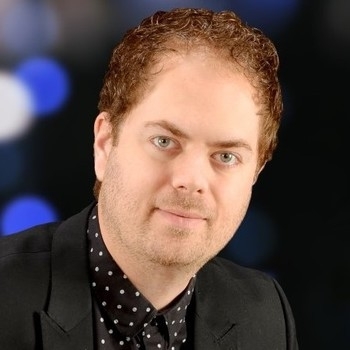 "Our association had the pleasure of having Scott MacIntyre speak at our conference of Customer Service & Communications and Human Resource Management professionals. His story of perseverance and success, despite what some may call a limitation, really resonated with our attendees. Someone stated that 'the ideas he brought out apply to everyone, no matter the job.' We also had a few survey comments on what attendees liked best with his name in capital letters." "It was such an honor and pleasure to work with Scott for this year's Vision Awareness event. He is a true inspiration, and everyone left feeling motivated and inspired. He also has an amazing voice, and the song was so moving. We have received so many positive comments about the event and couldn't have asked for a better day!" "Scott captivated the audience with intimate honesty, humor, and a thoroughly motivational message. And during the days he was with us in DC, it was inspiring to watch him remain gracious and down to earth as fans of "American Idol" flocked around him." "Our 2000 school district employees, both support staff and professionals, were inspired by Scott MacIntyre. His message of perseverance and overcoming obstacles was timely for our audience. We were truly blessed by his music and humble spirit." "To witness Scott MacIntyre in action is to be swept up by a wave of earnestness and optimism, intelligence and talent that he cannot keep to himself."